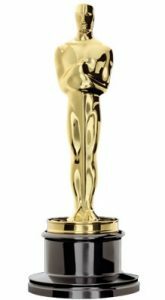 And the Oscar Goes to....Not this Bus Riding Plaintiff! In Dahl v. South Coast British Columbia Transportation Authority, 2017 BCSC 629 a women filed a claim against Translink and Coast Mountain Bus Company for injuries she claims she received during a minor fall while riding the bus. Ms. D claimed for a host of injuries including post-traumatic stress disorder, brain injury, memory loss, problems with focus and concentration, debilitating headaches, and severe sleep and wake issues. Prior to the accident, Ms. D had been in a series titled Dead Like Me from 2002 to 2004. Although she had not been acting since that time, she claimed being unable work as an actress or freelance writer due to her injuries. The plaintiff’s credibility was her own undoing as Madam Justice Murray found her evidence to be “exaggerated, over dramatized and unbelievable”. She noted that despite Ms. D’s claimed need for a walker and mobility aids, she did not use one during the 6 day trial. Additionally, Madam Justice Murray noticed that she had no difficulty staying awake during the trial and was able to stay alert and present for her case despite the claimed effects of the brain injury. Most damning for the plaintiff was the revelation that she had filed a false complaint with Coast Mountain Bus Company shortly after the incident. A voicemail left by Ms. D was played during the trial in which she complained about injuries she received on a specific bus and mentioned hiring a lawyer. A video of the plaintiff’s “alleged” trip on said bus was played for trial and showed that the plaintiff had not suffered any injury at all and there was no incident for the basis of the complaint. The mere fact that a passenger is injured while riding on a public carrier does not establish a prima facie case of negligence. The plaintiff bears the burden of proving on a balance of probabilities that the defendant breached the standard of care owed to the plaintiff. After hearing the bus driver testify that he did not pull out too sharply or quickly and finding the plaintiff’s evidence to the contrary unreliable, Madam Justice Murray found that there was nothing abnormal about the driver’s actions and that he was not negligent and therefore not liable. Although the defendants not to be liable, Madam Justice Murray went on to state that the plaintiff failed to prove that her injuries, which she found to be nothing more than bruising and soreness, were caused by any fall on the bus. Ms. D’s performance garnered her neither an Oscar nor compensation for her injuries.